We live in a camo world……Mossy Oak, Real Tree, BassPro ,Drake, and many more make great products that relatively control the market. These patterns simulate trees, leaves, reeds and moss. But what about the old camo of the 50’s, 60’s and early 1970’s? Why did it give way to the modern patterns we see today? And, does the old camo of our Grandpa’s still work in the dove fields, duck ponds, turkey woods and deer stands?? You better believe it will!!! Several years ago I bought an old Sears Camo coat from the ‘60’s on EBay. I currently use this coat duck hunting and I tell you now…..it definitely conceals me exceedingly well! Just like the same camo did when I was a kid growing up in Orlando, hunting the marshes for ducks and shooting doves in dead orange groves. This old camo I praise so much has its DNA from WW2 Marine camo of the South Pacific. It was sold by the likes of Sears (Ted Williams,) Red Head, SafTbak, and others. 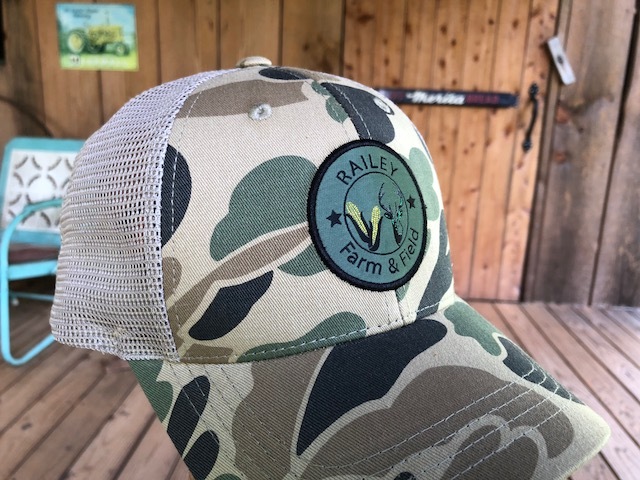 Railey Farm & Field is proud to bring this great old camo back with our new “Dove Field Cap! 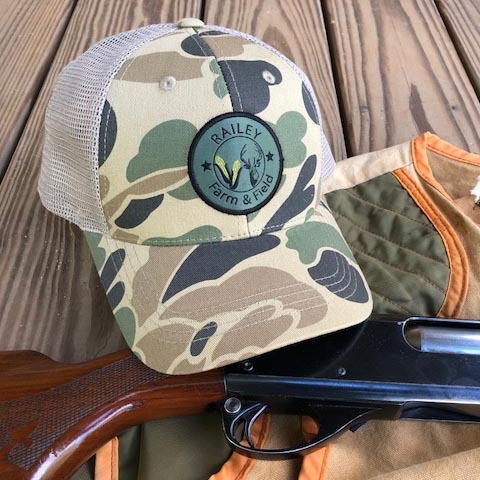 !” Our cap is versatile…….you can use our cap in the dove field, duck pond, turkey woods and deer stands. It has a netted vent back for hot weather, fishing, or working in the field… but make no mistake…if you pull a toboggan over it like we do in Alabama, then it’s perfect for the winter. I’m excited about our new hat! It took a long time to find this historically correct pattern…but we think the wait was well worth it. 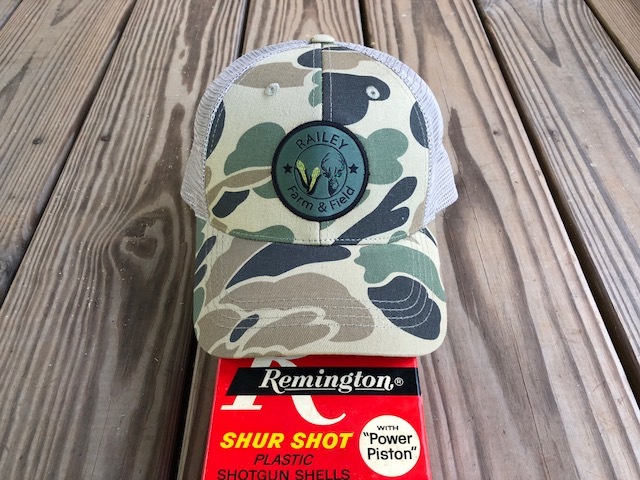 I hope you enjoy this camo cap…..your Grandpa did!